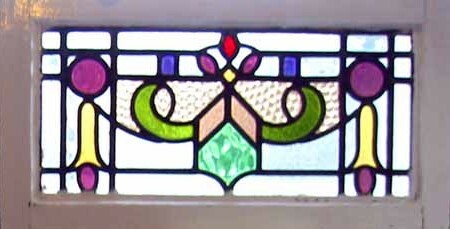 This beautiful old window is still in the original frame which is in sound condition. Removed from a house in Yorkshire during refurbishment. The glass has no chips or cracks and the leading is in excellent condition. The colours in this glass are exceptional. The frame measures 22"W x 11 1/2"H The glass measures 19 1/2" x 9"